A crime comedy mixing mobster satire with broad laughs, The Freshman benefits from a fine Marlon Brando performance riffing on his godfather persona, and an engaged Matthew Broderick. The film is astute and entertainingly frivolous in equal patches. Clark Kellog (Broderick), raised by his wildlife-loving but otherwise obtuse step-father Dwight (Kenneth Welsh), leaves his rural Vermont home behind and heads to New York University to study film making. 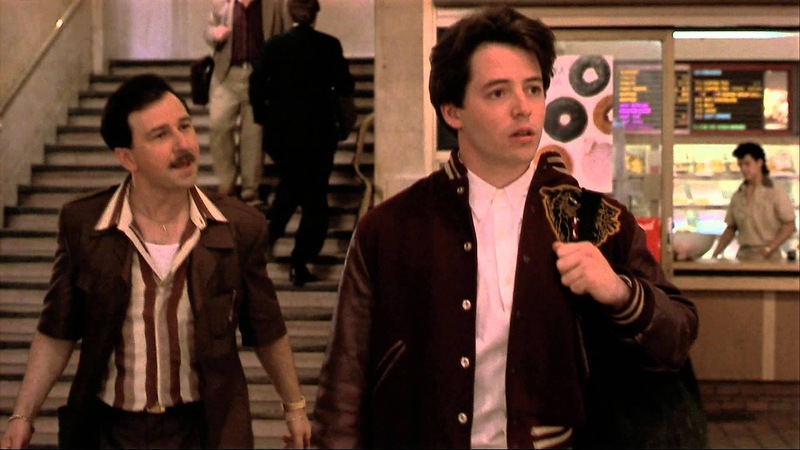 Within minutes of arriving in the big city, Clark meets the fast-talking Victor (Bruno Kirby), who offers Clark a ride but promptly steals all his money and luggage. Eventually Victor makes amends by introducing Clark to his uncle Carmine Sabatini (Brando), a businessman with a lucrative job offer that can't be refused. Sabatini professes great admiration for Clark, who is intimidated into accepting a well-paid job as a driver tasked with transferring unspecified cargo from the airport to New Jersey. He also meets Sabatini's daughter Tina (Penelope Ann Miller), and with bewildering speed she professes her love for Clark and starts to talk of marriage. The cargo turns out to be a rare Komodo dragon being illegally imported into the care of the mysterious Larry London (Maximilian Schell), a flamboyant chef. Clark realizes that he has been sucked into an illicit and bizarre scheme involving gourmet meals featuring near-extinct species. He quickly wants out, but escaping Sabatini's web will be a complicated process. The running joke in The Freshman is that everyone recognizes Carmine Sabatini as a spitting image of Don Corleone, but no one quite gets to say it. Brando mumbles his way through the role and has great fun recreating one of his greatest screen characters, but in this case the crime boss appears to be involved in nothing more serious than arranging over-priced banquets for air-headed rich guests. 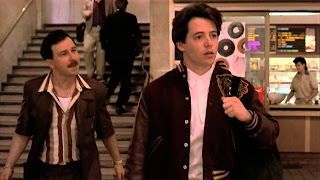 The Freshman is filled with this kind of attractive asymmetry, where characters appear to be stereotypes but then step sideways into unfamiliar and quirky territory. Sabatini's pregnant pronouncements can be construed as either profound or simplistic, and his affection towards Clark may or may not be a real surrogate father-son bond, Victor oscillates between scruffy thief and resourceful potential brother-in-law, while Tina innocently combines mobster's daughter with a potentially genuine attachment to Clark. Larry London hints at a Nazi-laced evil past, but he could also be just an inventive cook. Director and writer Andrew Bergman succeeds for the most part in threading the needle where Clark's ludicrous adventure stays on the right side of plausibly ridiculous. 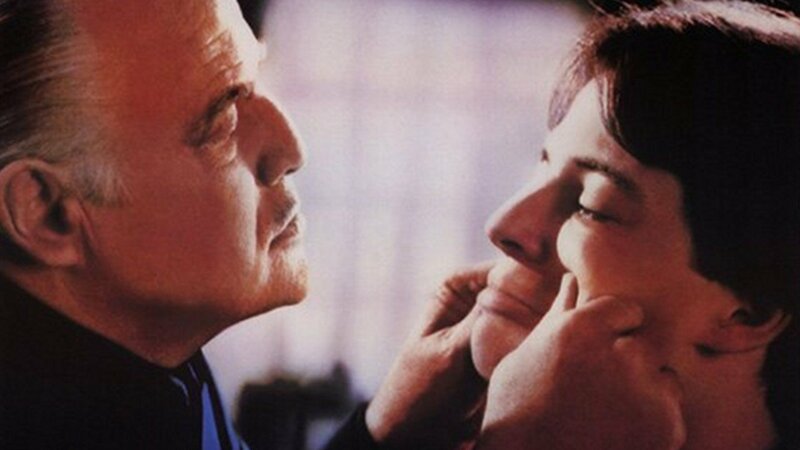 Broderick's fresh-faced, wide-eyed persona is a good match for Brando's dark and domineering boss, and the two create the film's best moments in several long conversational scenes. The Komodo dragon is also excellent and dominates a quite perfect comedy sequence as Clark and his film school friend (Frank Whaley) grapple with the reptile on an eventful trip from the airport to a hidden New Jersey zoo-of-sorts. Some of the story details are less well constructed, and late on Bergman quick-fries a plot about corrupt conservation officers, while step-father Dwight reappears but is shortchanged into sitting in the back of a car and saying little. The Freshman is a refined comedy which delivers a range of laughs without taking itself too seriously.